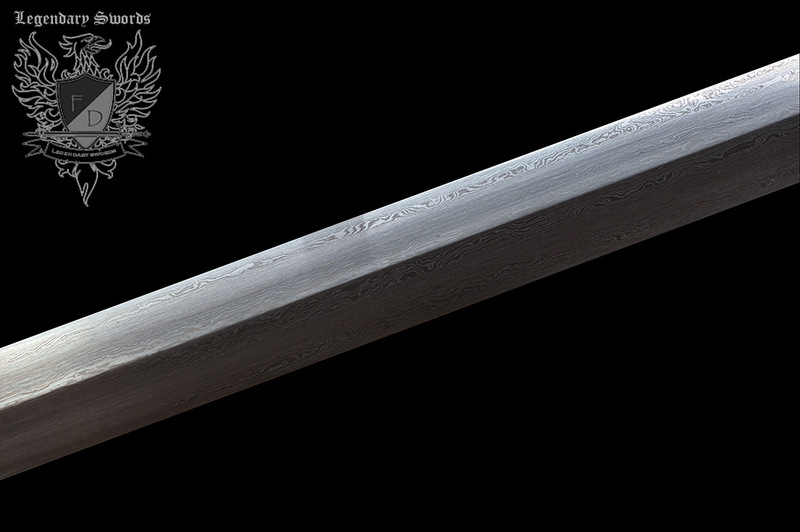 With a 30" master smith forged and folded 1095 carbon steel blade balanced just shy of 5" from the guard and weighing 2.86lbs, this single handed Jian is extremely fast, agile and beautiful. 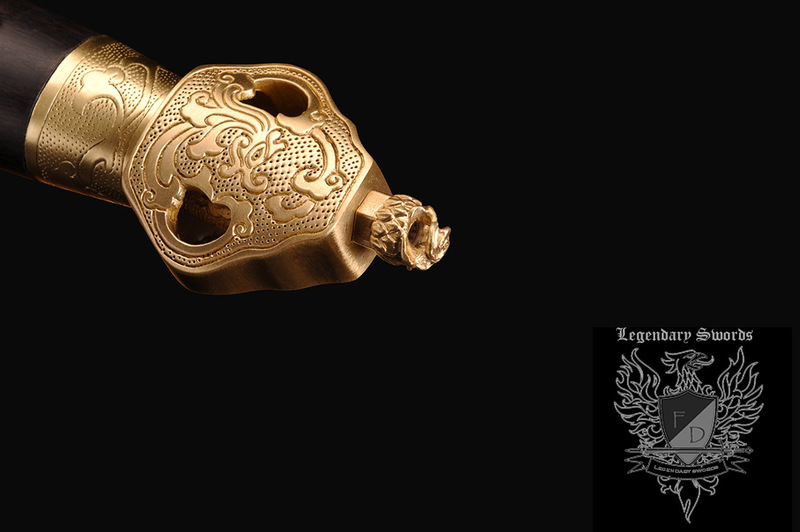 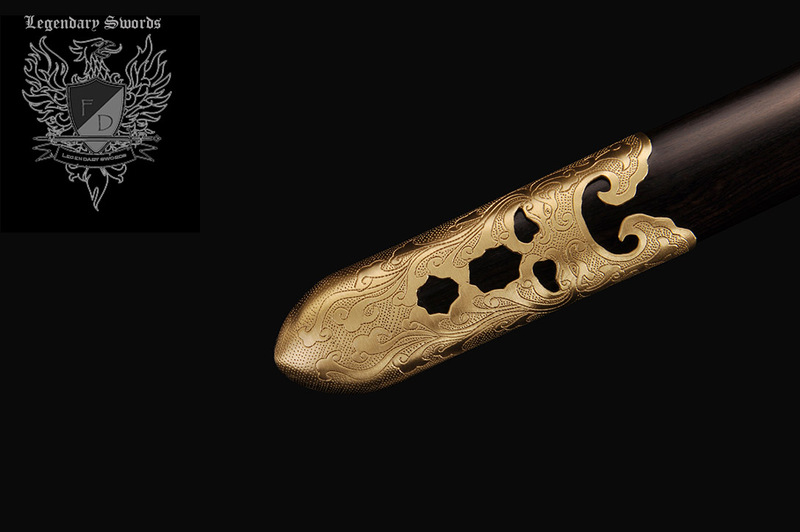 The hand cast and finished brass fittings are traditional and simple, designed to evoke a feeling that within it lurks and unseen dragon spirit just waiting to strike and reveal itself in a flash of steel. 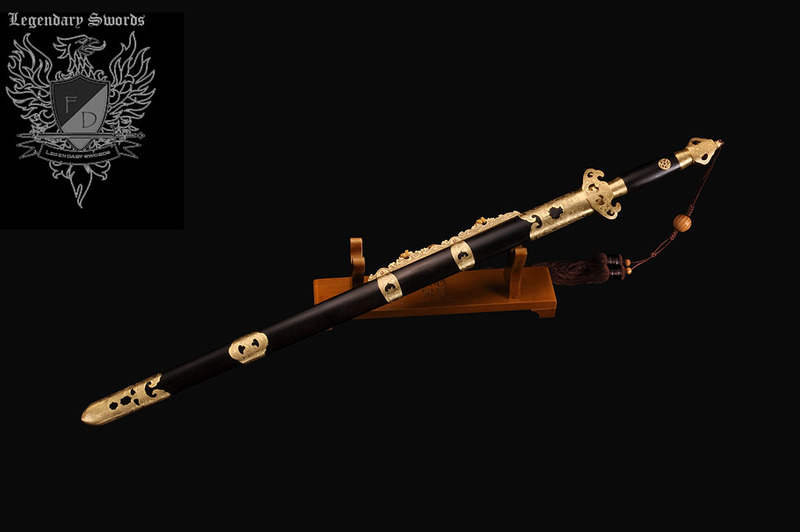 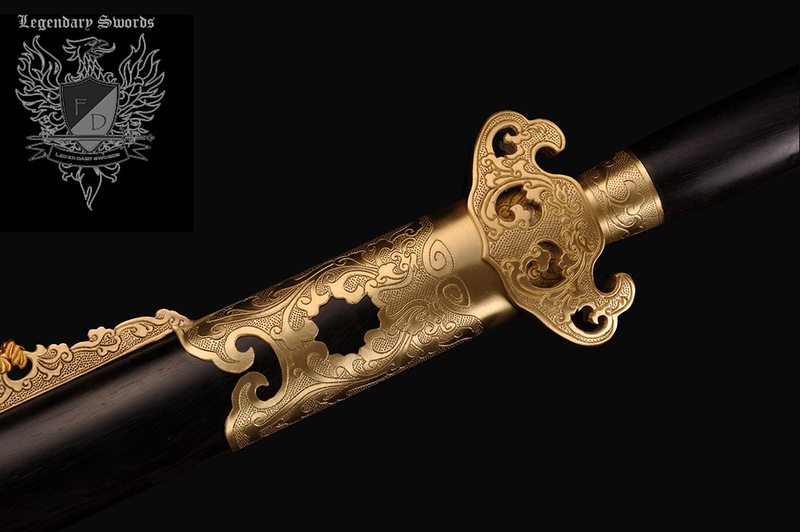 Scabbard and handle are premium quality dark ebony wood, the perfect contrast for the hand finished, polished brass fittings. 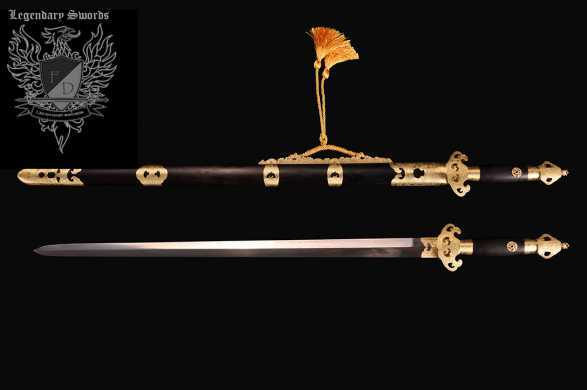 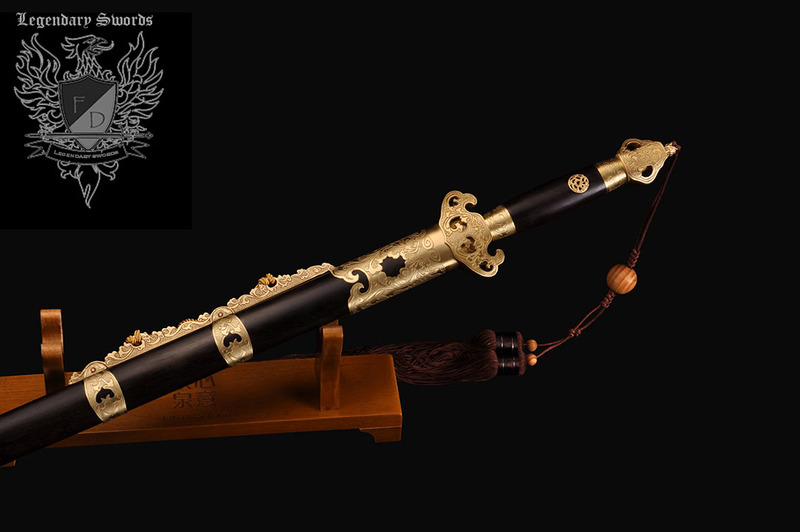 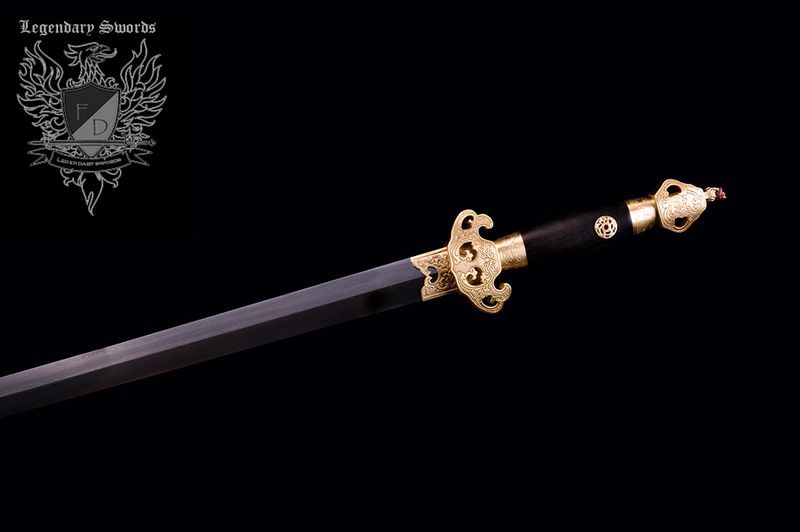 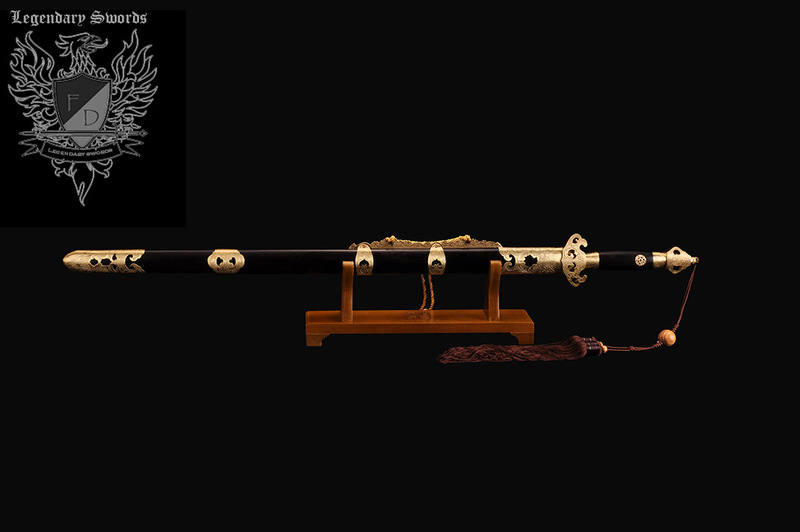 Whether it is for Tai Chi, Kung fu or display - this sword ticks all the boxes, and is designed primarily for precision thrusts the blade is also capable of shearing cuts and is balanced for true martial arts applications.